Large diameter head and tactical design produces a tightly focused beam with enough surround lighting for peripheral vision for a range of up to 150 meters. 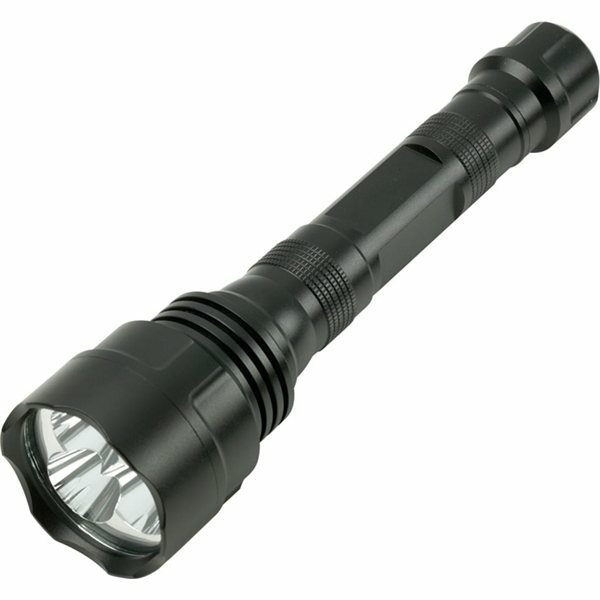 This model includes an ultra high output strobe mode for tactical applications and other signaling purposes. Output: 200 Lumens High, 60 Lumens Low. Use a soft touch on the dual output tail cap switch to transition between high output to low output and to the strobe option used for signaling or tactical applications. The anodized Aluminum body with break resistant lens is dust proof and weather resistant to withstand virtually all weather/work conditions. the customer service from Rose was wonderful. She covered everything and was extremely helpful. The product itself was pretty good. I knew these were going to be great, everyone likes them. These products really are a large hit at our obligation festivals. Excellent! work well, and looked great. Your employee is extremely useful and helps make the experience an excellent one!